She grew up with dreams of life in the spotlight. But after watching so many Christians in Hollywood trip, tumble and crash, she wondered if her dream was crazy. Can Christians in Hollywood stay true to themselves? Or will they all suffer the same miserable fate? Read on to discover my story, or check out our latest Christians In Hollywood news below! 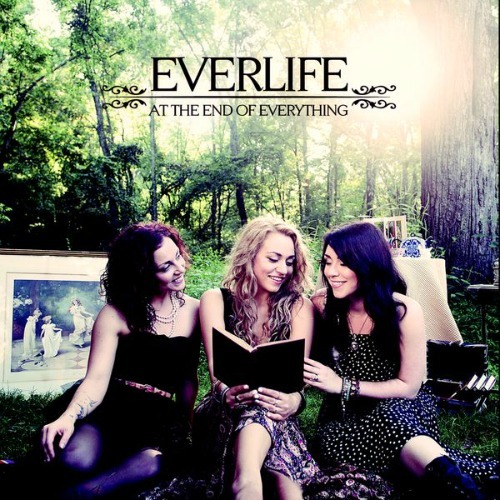 Singing sister band, Everlife, has been on a wonderful journey. They've had ups and downs but have promised to remain not only sisters, but best friends forever. Now, as their story as a band is coming to a close, a new chapter is just beginning. Christians In Hollywood: Read the interview! Check out our interview with the creator and inspiration behind the popular Christian girl's website, Project Inspired! 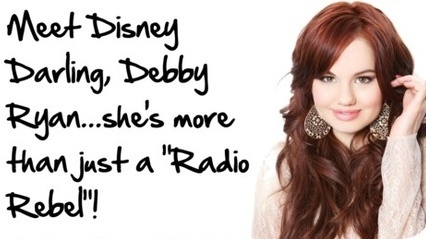 Meet Debby Ryan, one of the few Christians in Hollywood who is making waves! 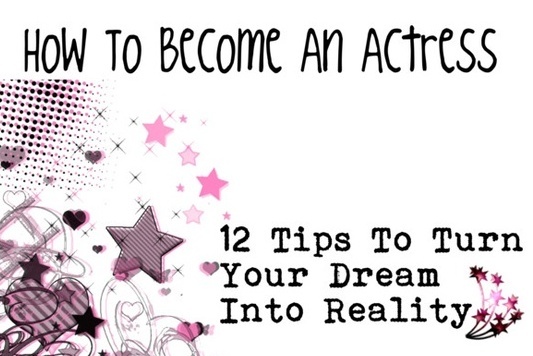 Calling all aspiring actresses! Ready to take some action steps to make your dream happen? This is an article you don't want to miss! I grew up watching Barney. The purple and green dino was my first ever celebrity influence. At age three, I couldn’t wait to wake up and spend a magical half hour singing and dancing with him! He made preschool life so colorful. I harbored secret thoughts of running away from home, to find him in the woods and ask if I could be on his T.V. show. I later learned that Barney didn’t live in a magical forest. The disappointing word on the playground was that Barney filmed at a television set thousands of miles away. Well, so much for that ambition. After the Barney years faded, I grew up with an itch that I couldn’t quite scratch. It came from the acting bug! My parents say that I was singing before I could talk, crooning along with Annie, Cinderella and many other musicals, in my living room. With a love for the musical theater stirring in my blood, I told my Mother that someday I wanted to write, sing, direct and star in my own movie. In first grade, when given the "What Do You Want To Be When You Grow Up?" assignment, I drew a beautiful girl in a purple dress singing onstage with a red velvet curtain on either side, stage lights beaming down on her. It was my dream. Like so many other girls, the stage called my name! I couldn’t wait to become a star! A few years passed and I daydreamed my way through middle school and high school, watching Lizzie McGuire, Hannah Montana and High School Musical. I sang and danced to the music with a hairbrush, in front of my mirror. Whenever my friends and I got together we would sing, dance, and act out movie scenes together. We dreamed of meeting our favorite celebrities, becoming famous and going on tour with the Jonas Brothers. Hollywood was all consuming. It appeared like one big fairytale and I couldn't wait to wake up one morning and find myself transported to another world. Hollywood. that the legendary Hollywood sign in California used to say, "Hollywood Land"? It wasn't until major repairs were needed for the sign, and they couldn't afford to keep the "Land" part! Leaving us with the shortened, Hollywood. I admired Miley Cyrus for a long time as I watched her live out my dreams. I thought she was so brave! I still remember watching the Best of Both Worlds Concert Tour for the first time. In that moment with thousands of green glow sticks lighting up the dark, I felt my stomach flip flop. I suddenly felt nervous for Miley. She would be singing in front of thousands! I was so proud of her as I watched the way she pranced around onstage with confidence. I admired the way all those little girls looked up to her. She seemed to be handling the pressure of being a young starlet quite well! Miley was a squeaky-clean role model who professed to be a Christian. Critics praised Miley’s parents for raising a bright, talented, down to earth young lady. As I watched Miley, I grew very excited. She would be a world changer! I placed her on a neat little pedestal in my heart and crossed my fingers, praying she wouldn’t end up like so many other young girls who’ve entered Hollywood Land…only to get chewed up and spit back out. The stories about the Hannah Montana star slowly began to change. Miley's life song hit some minor chords…just enough to make mothers around the nation cringe. Miley's song didn't stop evolving. Some said she was just growing up, trying to establish herself as an adult. But her suggestive lyrics, lack-of-clothing and dark music videos screamed that she didn't want to be the golden girl, Hannah Montana, anymore. I was crushed. My idol had fallen to the ground. And so had my dreams of that magical place called Hollywood. “What in the world is wrong with Hollywood? My dreams of Hollywood slowly evolved into nightmares. I began doubting my musical dreams and quietly dismissed them. If darkness, distortion, and deception were hidden beneath the glittery stage lights….I wanted nothing to do with it! If every girl who entered Hollywood Land exited the amusement park of fame with nausea, injuries and serious issues…I was never going to purchase a ticket to ride that dream! God-Given Dreams, or Fleshly Desires To Be Ignored? I started asking God hard questions. Why did I have the desire deep inside me to be onstage? Was it a God-given dream that He placed in my DNA, or a sinful longing I should ignore? If God didn’t want me on stage or in Hollywood…. what was I going to do with my life now? Go to college, get a day job, wait tables like a normal person? That would be the safer option, I suppose. But if I ignored my dream to be onstage, would I really be living? Or just merely existing? I battled with these questions. What was I supposed to do next? Where could I find answers? While exploring the Bible, I found the shocking answers to my questions. Jesus wasn’t afraid of the darkness. He chose to shine in the darkest places…the places where others were terrified to tread. Meanwhile, the “safe” religious Pharisees and church leaders hung out at youth group, went to Bible school, and told their children never, ever, ever go to Hollywood. Jesus has compassion on all people, rich and poor alike. It sounds to me like the need for the Light in Hollywood…might be even greater than we thought. Is It Really Possible To Change The World…Even Hollywood and the Media? The enemy of our souls (the one who makes it hard for the rich to enter the Kingdom of Heaven) appears to have rulership over Hollywood and the media. He has set up a nasty little kingdom for himself. Do we typically see anything good coming from the lives of the rich and famous, from secular television shows, movies, magazines and music videos? Almost everything being shot at us through mainstream media is dark, distorted, and deceptive. It appears as though the enemy has found an area that he has total control of! Why has he been able to do this? Because Christians have done nothing. We’ve been told by religious leaders that Hollywood, creative arts, music, and all forms of media are only to be pursued inside the church walls. Of course those who tell us these things mean well. They really do! They love us and want to keep us safe. They tell us that we are the light of the world, and we shine so brightly in church, using our gifts and talents to bring glory to God. But who is outside the church, lighting up the darkness? Who is shinning brightly, with the one true light in a place as dark as….dare I say…Hollywood? If Jesus were walking among us today, don’t you think he’d be trying to reach out to the darkest places? The frightening places. The places where we absolutely cannot succeed without His power and grace working through us, or else we will crash and burn. As I thought about all these things, I started to feel myself shaking in my boots. Was God calling me back to…. God gives each of His children a special and unique mission. He calls some to Africa, some to China, and some to their local stores and schools. Some girls are called to be teachers, some stay-at-home-moms…but no matter what, every girl is called to an area of influence, a place where she lives and works and shines brightly. We all have a mission field. Who is serving in the Hollywood mission field? Are there actually Christians in underground Hollywood? Girls who are standing up for their beliefs, and apart from the crowd? God has called many girls and guys alike to be missionaries in Hollywood. When I use the word Hollywood, I'm including in the definition, the music industry, the fashion industry, and many other creative arts and media avenues. God is raising up an underground rebellion of boys and girls who are now finding their place on the world stage. They are standing up and standing out for Christ. They are not living by the pattern of this world, but rather living in the midst of it….without being a member of it. We can be in the world and not of it! We can experience what it means to be like Jesus, and be around those who are lost, without losing our way. Turn on a light in a room, and what happens? The light is always brighter than the darkness. So why was I so afraid of it? God has showed me that I am a little candle, who has been called to sit on her lamp stand and give light to everyone who walks by. I refuse to hide under a basket any longer! The best thing I can do to shine for God’s Kingdom is to…. As a little candle, taking the stage and stepping out for Christ, I invite you to find your mission field as well. Okay, so it might not be Hollywood, the music industry, or a career in movie making. But you have been called to something! You have been called to be yourself! Doing what YOU do best for HIS glory, is when you shine the very brightest. If you love being onstage, don’t feel like it's a sinful longing to ignore. If you always grow excited over clothing design and fashion, don’t feel like you should tuck it away and do something a whole lot less fun. If you enjoy singing, sing on the streets, sing for your unsaved family members, and for those who are lost and hurting…not just for church! If God placed a desire inside of you to change the world with the gift He’s given….don’t let anyone tell you that your dream is too dangerous. An underground, called, chosen, anointed, set apart, counter culture of girls who love God are rising up to glorify God in Hollywood, the media, on the internet, and in their hometowns! Dare to join the revolution? For Christians in Hollywood, they have stepped into a dangerous and vast realm. Hollywood, (and when I say Hollywood, I'm including all creative arts avenues. Such as film-making, dancing, the music industry, internet entertainment...) is like the ocean. It's full of sharks, dark demonic strongholds, and enemies that desire to tear Christians in Hollywood apart. As we have seen, there is real danger in stepping onto the world stage. Christians in Hollywood have placed themselves and their families out in the open with a huge target on their backs. The enemy would love nothing more than to destroy Christians in Hollywood. The same is true for any dream that you carry with you, in Hollywood or in your hometown. Sharks of fear and intimidation are always lingering where we are destined to be! Our sweet spots, the places we were created to live and conquer, have giants lingering within. “No one will be able to stand against you all the days of your life. As I was with Moses, so I will be with you; I will never leave you nor forsake you. Be strong and courageous, because you will lead these people to inherit the land I swore to their ancestors to give them. God gave Joshua the secret to defeating his enemies and being prosperous and and successful. God's word is like an anchor for our souls. It keeps us grounded and secured to the corner stone we have built our lives upon, Jesus Christ. As a fellow Christian in Hollywood, I am here to encourage, inspire and tell you to go for it! But I'm also here to warn you of all that is ahead. And to remind you of the keys to your success and freedom as you take ground in the entertainment industry. Ocean waves can try to toss us around, but the truth will keep us anchored and secure. Hollywood will send storms of insecurity, lies, false friends, people who don't believe in us, people who hate us, people who tell us that we need to change who we are, dazzling temptations and sinful opportunities. I want you to be sure of this, the path you're headed down is not for the faint of heart! You must chain your heart to His word. Don't let it wander and stray. Don't let your heart crave the things of this world. Remember your purpose. Why are you breathing? All the glory is for Him! God told Joshua to meditate on His word day and night. Have a twenty-four-hour, all you can eat buffet. Fill your mind with His word constantly. Spend time with Him. Abide in His love, obey Him, and cling to Him. Please hear the vital importance I am placing on these words. The enemy desires to kill you. You must daily and continually cling to your Savior. That is the only way you will come out of Hollywood alive and well. You are more than a conquer. Don't let those sharks of fear intimidate you! I Know My Mission..Do You Know Yours? Hollywood is a mission field. Have you been called to be a Christian in Hollywood? Only your heart knows what it was created to do! You're not an actress who just happens to be a Christian. 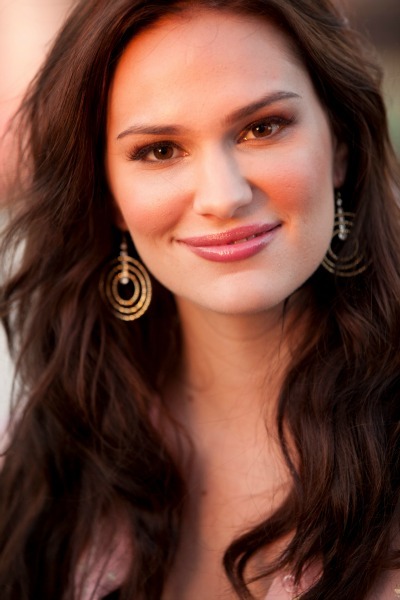 You're a Christian first and foremost, who happens to be an actress. You're sold out and chained to Christ, you have pledged your allegiance to the King of Kings! We cannot place our hobby, desire, and “career” before Christ. To do that is nothing but selfishness. If we prance into Hollywood with us front and center, and Christ trailing in the caboose, that is so dishonoring to Him. But if we lift Him high like a banner, and place Him front and center of everything we do and everything we are...that's when He is exalted and can truly work in and through us! In Hollywood, our mission is to represent Him. Can you imagine how earth shaking and life changing it would be, if an army of underground agents...Christ's ambassadors and representatives, marched fearlessly into every aspect of Hollywood (such as the music industry, T.V. and movie biz, creative arts and media, etc...) with one mission burning in their hearts...to represent Christ? What if girls went to auditions and open casting calls with the sole purpose of witnessing and sharing their faith? What if young girls performed at their local theaters and invited all their friends to an after-practice Bible Study? Are you beginning to see what power God has given us in this field of dreams? We can take back what the enemy has stolen in Hollywood, as fearless missionaries declaring who Christ is, and using our talents to glorify Him! Imagine this. You're a top secret government agent, sent to France on a mission. You've been in training for years. This is your first mission and you're so excited! You arrive, captivated by the culture, the food and the cute French boys. But someone forgot to tell you what your mission is while you're there. What do you do? Vacation! Enjoy the moment! Just go with the flow, right? So many Christians have excitedly stepped foot into Hollywood, sent as missionaries, without a clue to their mission. Instead of changing the culture around them and being an ambassador to God's Kingdom, they have merely “gone with the flow” and gotten into all kinds of messes. They have not really changed the world, and instead been influenced and changed by it. Don't be that girl! Know what your mission is!